In Christchurch at present and have a couple of spots of interest for anyone visiting. Current NZ Barista Champ behind the big LM, very nice Flat White and an excellent Ristretto to follow. Pleasant flat white not world changing but good. Ethiopian Yirg, pour over-paper filter, now we are talking, exceptional ! 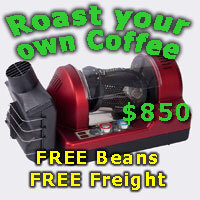 Lots of cool toys and their roasting HQ also. no waiting anywhere and take you choice of seats, makes a nice change ! Update, had to head back to Lucianos befor heading to Wellington and it was well worth the effort. Went for a larger flat white this time. It was sweet, milk chocolate all the way. Followed by 2 Brazilian SO ristrettos, both very nice especially the last one. Great guy more than happy to talk coffee and doing a great job. Shame about Wellington, not even going to bother with a write up. In short "a series of dissapointments "
Back to ChCh tomorrow, any Snobs want to catch up for coffee? Be there Tues/Wed and Thurs am. Picked up my Pallo coffee tool from there. C4 Coffee is very good too. Does the C4 have a kick? Ill second both of the suggestions in the first post. C4 isnt on Lichfield St anymore, its now on Tuam St, in pretty much the same place. If you go to the Lichfield St address, its on the other side of the parking lot between Lichfield and Tuam. Another really cool place is C1 Espresso, which is round the corner of High St and Tuam St. Very true comment It blew the building in Febuary, the building is gone now. Yay C1 Coffee is returning to the City. The City has been a Red Zone for 13 Months. 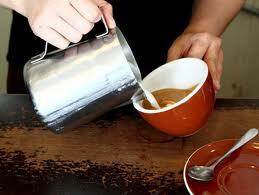 We have Coffee made in Containers, carivans and Road stalls. It Will take 30 years to rebuild the City. But Coffee will keep us going. An earthquake-displaced business owner has set up shop in a shipping container. James Bagrie, 28, owned The Caffeine Laboratory in Christchurchs inner-city Shades Arcade. After nearly four months of trying to restart the business, he is operating from a small shipping container in a car park on the corner of Montreal St and Walker St.
"We were allowed to go back into the arcade and get equipment and stuff out, which was great, but then it was just a case of trying to find somewhere to reopen," he said. "There was this mass hysteria to find rentals after the quake, but I wanted to stay close to the city." Stylus Furniture, which is moving into Walker St premises at the end of the month, told Bagrie he could use the car park. "They [Stylus Furniture] were so great about it ... and its obviously a huge help to me," he said. 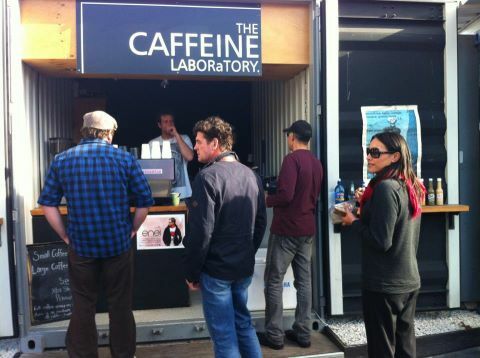 He rented a 2.4-metre shipping container, and started serving coffee last Monday. "Its just so great to be up and running again. For me, just getting back to some sort of normality was the best thing," he said. Bagries Kilmore St home was damaged in the February quake. He is living with his parents in Ohoka. "Its a bit of a commute. The alarm goes off pretty early, then I get up, bake the muffins, get the soup ready [for the cafe] and get going." He brings non-chlorinated water from an Ohoka well to use in the coffee machine. "The people I used to serve were pretty much all inner-city workers, so I went from seeing them everyday to just not seeing them at all," he said. "Thats one of the best things about being back in business, seeing the familiar faces again." However, working from a container did have its downside. "Its pretty freezing in here, to be honest," he said. 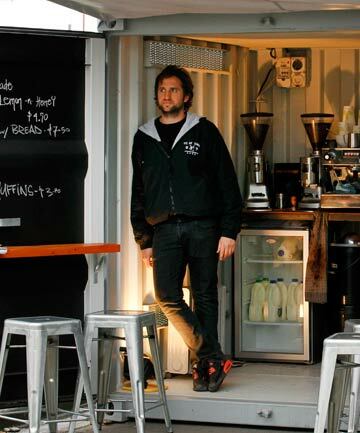 "Im just doing my bit, facing the southerly, and making coffees in a shipping container in the middle of winter." 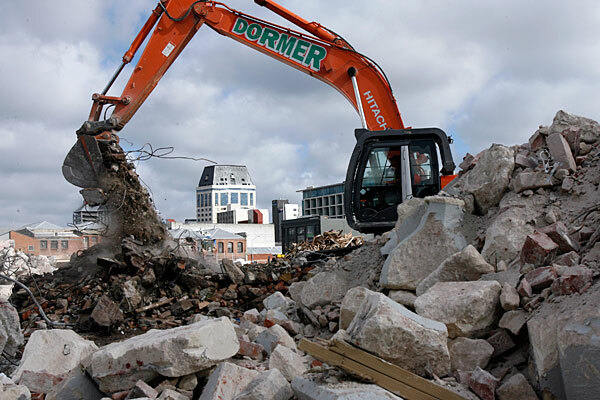 Angry Christchurch business owners yesterday faced more destruction and loss in the central city. About 30 owners were allowed to enter red zone 7 – from Barbadoes St to Madras St – for three hours yesterday. Guy Griffith-Jones, owner of coffee roaster and supplier C4, wanted to know who would pay for the doors smashed at his rented Tuam St property. With the doors open, dust had damaged the equipment, he said. "They [officials] dont talk to you. They smashed it open. All the dust has caused more damage than the quake," Griffith-Jones said. Bernard Smith, owner of Vivace Coffee, had been trying to help the C4 Coffee business get back on its feet. However, Smith said the Vivace Espresso Bar in Hereford St had been torn down without his knowledge. Cash remained in the till from the day of the quake. "We had no contact from anyone. I had applied to get stuff out, like everyone else, and then I found it was demolished at the weekend. "Theres a lot of stuff in there Id have liked to get out. "Once the quake struck, everyone just got out. You dont think youll never get back in." He said no-one contacted him regarding the demolition. Griffith-Jones also said he was not told C4 Coffees old 165 Lichfield St site would be torn down. "We were going to demo it anyway, but Id rather be told. Id like to have a courtesy phone call to say `were doing this." The building was badly damaged after the September quake. Roland Logan, owner of the building on Madras St that housed NG cafe, was upset over missing jewellery at his yellow-stickered building. The building was home to a boutique clothing shop, cafe and gallery. "Were missing a couple of pieces of jewellery that seem to have gone missing after the time the authorities broke in to search for people that werent here," he said. "Its just a couple of rings. We knew exactly where the rings were because someone was looking for them when we abandoned the building." Logan also asked why rescue workers had to smash all his propertys doors. "We actually put a note on the outside of the building when we got everyone out of the building to say this building is clear," he said. "So Im not sure quite why they have to break in, especially break both doors, when all the internal doors were open, plus break glass doors upstairs to look inside rooms." 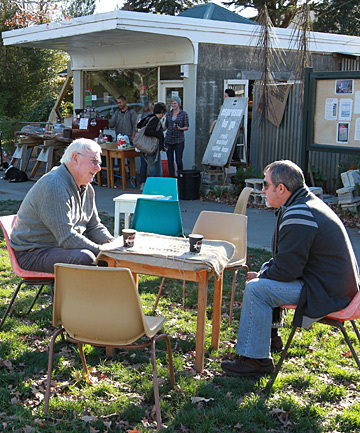 A Christchurch cafe is offering al fresco coffee as it battles to stay in business. 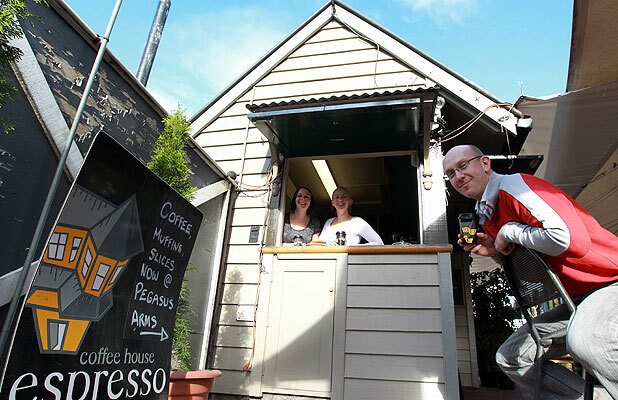 Upshot Coffee began operating outside its damaged Heathcote Valley premises when the Station Rd building was yellow-stickered after Februarys earthquake. Co-owner Megan Geels said she was determined to keep the cafe and organic roastery open by setting up school desks and plastic chairs outside, despite the cooler weather. "Its not a bad wee setup, as long as the weathers good. The hardy customers will sit there right through the winter," she said. The future of the leased premises was in the hands of the landlords insurance company, Geels said. "Id say the [building] is due for demolition, but until then well just keep trucking along." Post-quake business had been mixed, with some regular customers having moved. "Its up in some aspects because there arent many cafes open [in the area]. Its certainly holding its own at the moment." The cafe is also selling milk and newspapers because the nearest dairy has closed. The historic Valley Inn, Heathcotes only pub, was demolished after the September quake. "Im pretty sure were the only commercial venture running in Heathcote. Everything else is stuffed," Geels said. The cafe owners have no plans to look for new premises. Space had been offered, but Geels said they were keen to stay put. Heathcote Valley may be awash with broken houses but it is also home to the little coffee company that could. Upshot Coffee started six years ago on a quiet, unassuming corner in the valley selling fresh roasted fair trade and organic beans. When the February 22 earthquake hit they simply picked up their coffee machine and relocated to the street outside. Throughout a long cold winter Justin Good and Megan Geels churned out espressos to frozen cyclists and kept a small part of the struggling community alive. In October 2011 they were finally forced to move away from their traditional Station Rd site. "Eventually, we just had to give up," Mr Good said. Two weeks ago, Upshot started up for the third time on Bridle Path Rd on the driveway of the Heathcote Valley Riding School. The orange container cafe with its collection of plastic chairs and rustic tables is very "back to basics". 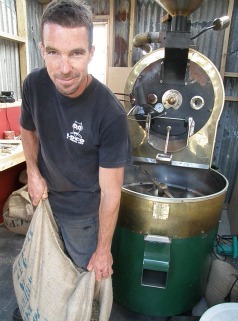 Mr Good has been roasting in a small shed next to the container, but has maintained the same quality despite difficult conditions. 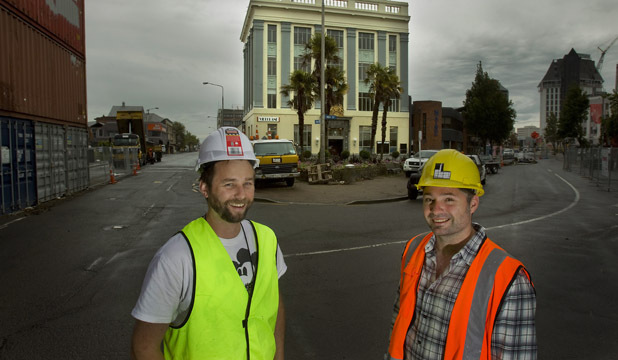 A Christchurch coffee house has become a coffee hut to keep its earthquake-hit business going. The Coffee House on Montreal St has temporarily moved into a small shed in a pub courtyard after being unable to trade since the quake. The "Coffee Hut" is at the Pegasus Arms site on Oxford Tce. Coffee House owner Ben Dunkin, 36, said "the lovely people at the Pegasus Arms have let us use their outdoor hut which functions as a bar in the summer but not so much in the winter". The Coffee House building suffered damage to external walls. Dunkin said he was unsure how long repairs would take. "Its just so great to be back serving coffee in the area. Were just stoked to be able to trade . . . it took us a few months to get into our business [The Coffee House] because of a nearby demolition, so its awesome to be up and running." Dunkin said he expected to be based at the new site for about four months. Coffee House customer Grant Youngman said "the vibe" between the hut and pub was "perfect". "Its a great place to hang out, and it just works really, really well." Youngman said many of his regular coffee spots were no longer open. "As a city-living, coffee- loving guy, Im going to support any local businesses doing their bit to get the city back on its feet . . . it makes me feel like I do want to carry on living in the city." The Coffee House in Montreal St is one of the few surviving cafes within Christchurchs four avenues. Housed inside a charming Victorian villa, the cafe sits directly opposite the Dux de Lux and the historic Arts Centre and with its yellow facade is a welcoming beacon amid all the demolition taking place around it. To make the most of post-quake trade the cafe has put on a steak menu in the evenings but it is the quality of its coffee and home- baked cakes that keep the locals coming back. James Bagrie, 28, owned The Caffeine Laboratory in Christchurchs inner-city Shades Arcade. After nearly four months of trying to restart the business, he is operating from a small shipping container in a car park on the corner of Montreal St and Walker St. It is back again YAY. The ALL-NEW Luciano Espresso Bar is NOW OPEN! Apologies to all of you our much-valued customers who have been so understanding and supportive of us in light of the sad demise of our original Moorhouse Avenue site following the Feb 22nd quake. Thanks for the updates, I went to University in Chch and now live in Melbourne but still have friends in Chch. The way the insurance companies are delaying payouts is (words fail me). Serving up a variety of coffees from different roasters with regular guest coffees so something different. Brewing on a Synesso Hydra also syphons ect , also if you keep an eye on their facebook page they have a weekly cold drip. Looks amazing I will have to try a Cold Drip. It's been a long road for C1 Espresso, but after almost two years it is reopening. The central Christchurch cafe was officially reopened today by Canterbury Earthquake Recovery Minister Gerry Brownlee. C1 sat on the corner of Tuam and High streets for about eight years and its new ''bigger and better'' home is just across the road. ''It's very handy for us to have the same address. We're still on the corner of Tuam St and High St,'' owner Sam Crofskey said. The new C1 will be able to seat about 350 people and is complete with rooftop solar panels, an electricity generator, organic beehives and a rooftop garden. Many staff who worked at C1 before the earthquakes were back on board, he said, but there were also new staff. Crofskey said he had two hours and a wheelie bin to salvage as much as possible from the old building. The new cafe has a bookcase sliding door, an entrance into Alice in Videoland's movie theatre and a vacuum tube that runs across the ceiling and shoots food orders from the cafe to the kitchen. There's a vineyard on top of a café in Christchurch and I know where to find it. With Tuam St open to east-bound traffic, many passengers are taking the opportunity to lean out car windows and snap pictures of a corner of High St showing plenty of promise. The Old Post Office Building, standing tall and proud, is one of the only high points in an area mostly returned to rubble. What's happening inside this 1930s building is cause for excitement. I meet Tim McIntosh next to a somewhat iconic and colourful garden outisde the front door, which sports a bright yellow logo for C1. Tim's one of the enthusiastic men behind the café's rebirth, helping oversee the ground level's transformation. The cafe will share walls and doors with Alice In Videoland, and intends to open mid November. For dedicated C1 fans, familiar with the cosy and eclectic surroundings of the cafe's previous site across at 150 High St, it will be little surprise to learn this will be no ordinary coffee zone. As Tim takes me on a tour of what is still a construction site, a picture is painted of a café nurturing the past as it hurtles head-first into the present. With two long feature tables made from recycled rimu from the old premises and five huge spherical lights from the Arts Centre's Great Hall, there's a story behind the carefully chosen components of this new café. Take, for instance, the tube that runs around the ceiling. It's not an apparatus for combating coffee roasting by-products, but a pneumatic tube system that will take orders from the front counter out to the kitchen. I can't wait to see it in action - and to see happens if an order or two gets stuck along the way. Tim takes me past the former post office's vault, now home to the vintage coffee roasting machine last used by Lyttelton Coffee Company, and shows me the extensive kitchen area which will allow two chefs to cook up a storm at their own work stations. A door leads down to the basement, where the staff area finds its home in the original boiler room. A mix of booths and chairs will seat about 150 happy punters inside the large space made even more impressive by its high ceiling. A fake ceiling was removed when Alice's moved next door, and the beaded original ceiling has been touched up and looks great with a lick of black paint. Outside, 170 people will find a spot to enjoy their wine and food, as the pavement is set to become awash with seating. The stretch of fake grass on the Tuam St could become the place where your next table is found. In true C1 style, the door between the dining area and the bathrooms is no ordinary piece of wood. It's a "James Bond-style" bookcase, that automatically slides open and closed. Even the wall opposite the bathrooms, which will include a parents' room (a godsend for those with children), is to be covered with commissioned artworks from Christchurch artists. The first floor is the next office space for staff from The Christchurch Art Gallery and the second and third floors will be home to The Physics Room, currently at 55 Sandyford St, Sydenham. The roof is the cherry on top. It's where 55 pinot noir grapevines from Black Estate are growing in raised planter boxes, lifted one by one by crane up to their spot on High. All it takes is one climb up and down the wrought-iron spiral staircase in heels to see why the barbecue was carried up by crane, too. Planks lie in piles awaiting their next life as a decking area. Bee hives are on their way, too. For Tim, the creation of this green space is in keeping with what Christchurch people asked to be a part of their new city, and, despite the surrounding cranes and the rubble, you can already see how private roof-top functions will be an appealing option in the future. C1 plans to be here for a long time, so sustainable practices have been key to the big picture planning. Solar panels will one day line Alice's roof and a wind turbine is not out of the question. Coffee grinds will help fertilise the growing grapes and a herb garden will be an asset to the kitchen. Those bees are bound to make some pretty tasty honey, too. C1 ESPRESSO. OFFENDING PEOPLE SINCE 1996. We appreciate all of our regulars, both new and old, who continue to frequent C1 and we continually work hard to create the environment that you all enjoy. The complainant below wanted to remain anonymous, but we are certain he was the Reverend Moore from Footloose wanting to ban music and dancing and fun in Christchurch. Well, Reverend Moore, we do not bite the heads off doves at C1 and it is perfectly safe for your children to visit. FREE CHOICE: C1 Espresso co-owner Sam Crofskey, speaking with Earthquake Recovery Minister Gerry Brownlee, says if you don’t like the cafe’s music, don’t go there. Other than C1, any other recommendations? C1 is great, cafe Lumes on Fitzgerald ave is also very good. C4 on Tuam street is great, nice big roastery warehouse.Where else in the South island you going? The Flying Cup has a freshly renovated home at 100 Peterborough St. The caravan-style cafe has been given a facelift by Greening the Rubble. The site includes one of the Gap Filler mini-golf holes and is next door to the Temple for Christchurch (the soon-to-be-burnt sculpture). Check them out while visiting the Peterborough St library. Open Monday-Friday, 7.30am-2pm. Formerly of Lichfield St (pre- quake) now of Fitzgerald Ave, Lumes sets itself apart with fantastic coffee and friendly service. The cafe has an industrial vibe with furniture made out of construction pipes, top-hat pendant lights, and the coffee menu inscribed on pallets. The menu is simple with a focus on quality and value for money, and the housemade waffles are a real treat. Lumes clearly takes pride in its coffee, offering Supreme beans, and a guest roast. Service is bright and welcoming. UTRV is a survivor of the best kind. The Linwood cafe has bounced back from earthquake demolitions and is better than ever. Clustered into a couple of old-world cottages, and with a central flower garden and courtyard, it has a satisfying brunch menu, with the oaty pancakes a standout dish. The cafe is an eclectic jumble of furniture, making it a comfortable coffee spot and weekend brunch favourite. The cabinet food is particularly enticing with the rustic-looking cakes a real temptation. The coffee is consistent and the service professional. This central city cafe is pumping with coffee lovers during the week, and brunchers at the weekend. It seamlessly fuses vintage furniture with slick subway tiles, creating a laid-back effortless charm. Black Betty's strength is in an impressive coffee offering, including the not often seen techniques - siphon and cold drip. A creative brunch menu includes French toast crumpets and toast soldiers, and the cabinet food looks hearty and homemade. This post-quake gem has personable service, an efficient kitchen, and atmosphere aplenty. It's not often you see vintage arcade games anymore but C1 has two. The High St cafe nods to the past with its vinyl chairs and sewing machine water dispenser. The menu is well rounded, offering a range of affordable brunch/lunch options and the cabinet is stacked with light eats and C1's signature chunky muffins. The atmosphere is set by the alternative background music and a constant flow of people with laptops and textbooks, and family gatherings. The coffee is consistent and C1 has made every effort to make the cafe an interesting addition to the CBD. Underground's strength is definitely its cabinet food. Plates full of sweet treats are stacked up around the till and the cabinet is stocked with yummy-looking lunch options made from top ingredients. The filled ciabatta are fantastic toasted and beautifully presented. Underground baristas consistently pump out great coffee in record time with a strong emphasis on flavour. Staff are personable and, while the interior layout means tables are limited, the expansion into the mall means great spots for people watching. When Lyttelton Coffee Company was put out of action due to earthquake damage, its staff started up Samo as an inbetween measure while waiting for the rebuild. Samo therefore offers a lot of what LCC was all about - friendly service, great coffee, and rustic cabinet food. Once set up in Loons Theatre, Samo has now moved to the other side of Canterbury St where it is operating out of a courtyard/hole- in-the-wall, and making a real go of it. Customers can pop in for a lovingly made coffee or sit down for a homemade-style meal. For those who miss their LCC fix, this is the place to get it. Fair Trade focus makes this the perfect spot for a guilt-free coffee and a homemade toastie. There's an emphasis on comfort at the Co- op, with a cluster of vintage couches a favourite and an outdoor dining area tucked away from the bustle of Lincoln Rd. The staff are cheerful and the cabinet is always stocked with enticing treats. The Co-op also provides plenty of vegetarian options and the bikes and lanterns suspended from the ceiling add to the atmosphere and cafe buzz. This is the place to find fabulous coffee. Luciano has a team of excellent baristas on site to complement the kitchen. The cabinet is stocked with simple but appealing light lunch options and the menu a creative take on cafe fare, with dishes such as deep- fried falafel and pork belly salad. The cafe has a modern feel and fits plenty of seats into the compact space. Service is attentive and helpful and the calm atmosphere perfect for conversation and reading the paper. The "& Bake" in the cafe's title nudges you into noticing the well- stocked bread corner. Sourdoughs, ciabatta, batards and many varieties of seeded loaves are sold throughout the day. It's open for breakfast from 7am, and lunch until 4pm, with the industrial-styled fitout providing plenty of elbow room. It's a casual, cheerful cafe but the menu is extensive with breakfast covering all the basics and lunch running the gamut of salads to sandwiches (with its own made-to-order menu). Vic's does C4 coffee. Warmer weather caffeine hits are best served cool. We've found three of the best cold brew coffees Christchurch has to offer. Underground Coffee has been serving Christchurch folk with perfectly roasted coffee since 2003. With their in-house roaster at their Durham Street cafe churning out batch after batch of single origin coffee in the back room, you certainly feel like you're right in the heart of operations. The baristas at Underground first introduced their customers to cold coffee by offering free daily tastings. Over time these customers have become die hard fans of Underground's 'cold drip' coffee. Cold drip is a filtration method where iced water drips on to a bed of coffee and is then filtered into a server. The cold drip filter at Underground runs over an average of three hours. The coffee is available from mid-morning Monday to Friday with small glasses priced at $3.50 and a 200ml bottle at $5.00. If you want a cold drip to wake you up in the morning, then you can purchase a home drip station from Underground for $450. There is a coffee delivery service so you'll never be short on bean supply for your cold drip, and group and individual training sessions to turn you from a beginner to a pro. C4 Coffee is a specialist roastery and cafe located in a huge warehouse on Tuam Street, and is a perfect spot for a mid-summer cold coffee brew. As the environment will show, it's all about coffee here. The guys and girls at C4 source, roast and brew their speciality coffee under one roof, and you can watch it all happen from the comfort of the cafe. C4 are certainly experts when it comes to extracting coffee from cold water. They have two signature styles available using their revolving selection single origin filter roasts for a cleaner and more nuanced drink. The first is 'cold drip', a 6 hour slow drip process, available for $3.50 served by the glass over ice. The second is 'Cold brew', a full immersion method where the coffee and water live together overnight In a brewing unit. The coffee is then filtered and served in cute 200ml glass bottles which you can purchase for $7. If you're serious about your cold coffee experience and want to become a cold coffee master at home, then you're in luck. C4 has a range of cold brewing equipment (ranging from $75 - $450) and the staff will happily provide you with advice and education for perfecting a cold brew. As one could only expect from Supreme, the coffee at their flagship Christchurch cafe is sublime and, whatsmore, they do two cold versions of their famous espresso. Cold drip at Supreme is a long drawn out process of eight hours which means your coffee has a more intense and concentrated flavour. It's best enjoyed after a day maturing in the fridge or poured into a rum cocktail or martini, the choice is yours! A glass of cold drip goes for $5 here. The 'iced filter' is a Japanese method whereby hot coffee is dripped ever so slowly onto ice (we're talking one drip per second), and then served black on a tray with a side of sweetened condensed milk. This method is great for highlighting the different flavours in the coffee that you wouldn't notice if you have a standard espresso with milk. Get yourself a glass for $5.